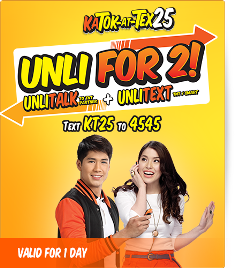 Looking for affordable unli combo promos of Talk N Text? Here is the list of TNT Unli combo promos. Including Unlimited Texts + Minutes of Calls + Mobile internet, or Unlimited Call and Texts to all TNT/Smart Subscribers or Unlimited Texts, minutes of calls to all Networks! Just select your combo and register it by the given promo codes corresponded to promo you choose! The list of TNT Unli Combos. 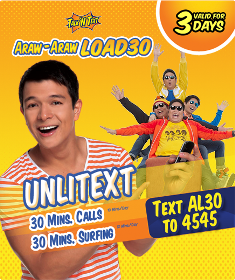 Registering to this promo will give you Unlimited Texts + 30 minutes of calls and 30 minutes of mobile surfing! Valid for 3 days for only P30.00! Just text AL30 and send to 4545. Subscribe and you'll get Unlimited texts, plus 300 minutes of calls to all you TNT, SMART and SUN friends! Additional 30MB of mobile internet access valid for 30 days for only P30.00! Just text TRINET300 and send it to 2477. Unlimited texts to all networks Plus Unlimited call to all your TNT/SMART friends from 10 PM to 10 AM and 12 PM to 6 PM valid for 1 day for only P20.00! Just text AP20 and send it to 4545. Get Unlimited talk to all you TNT friends and Unlimited Texts to all your TNT/SMART friends! Valid for 1 day for only P25.00! Just text KT25 and send it to 4545. To use your call, just simply type, *8585 + 11-digit-TNT-number. 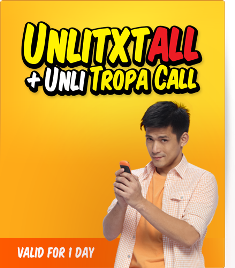 Enjoy Unlimited Texts plus 15 minutes of calls to all your TNT and SMART friends! Valid for 3 days for only P30.00! Just text, U30 and send to 4545 to avail the promo. 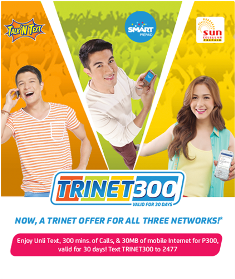 Register and you'll get Unlimited Texts + Unlimited Calls from 10PM to 5PM to all your TNT/SMART friends! Valid for 1 day for only P20.00! How to register? Just text T20 and send to 4547. 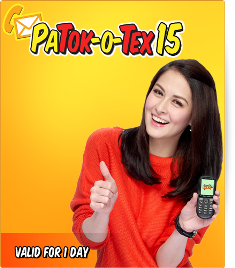 Enjoy you 150 texts to all networks + 15 minutes of free call to all you TNT/SMART friends for only P15, valid for 1 day! To avail, just text GA15 and send to 4545. For only P15.00, enjoy your Unlimited Texts plus 15 minutes worth of calls to all your TNT/SMART friends, valid for 1day! Just text GU15 and send it to 4545 to register. Call for only 0.50 to all you TNT/SMART friends! The lowest call and text rate ever! Valid for 1 day for only P15.00! To subscribe, just text TOT15 and send it to 4545! Enjoy your 200 free texts to all networks plus 20 minutes worth of calls to all your TNT/SMART friends for P20.00 valid for 1 day! To register just text, GA20 and send it to 4545. 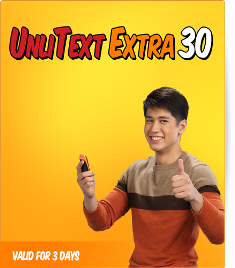 For 2 days, send 300 free texts to your friends to all other networks plus 30 minutes worth of calls to your TNT/SMART friends for only P30.00! Just text GA30 and send to 4545 to avail the promo. Not satisfied with 2-days promo? Try this GAANALL-IN-ONE-55. For 3 days straight, enjoy sending 550 free texts to all your friends in other networks plus 55 minutes of free calls to all your TNT/SMART friends for only P55.00! To register, just text GA55 and send to 4545. For 1 week, enjoy your 990 free texts to all networks plus 80 minutes worth of free calls to all you TNT/SMART friends for just only P99.00! Just text GA99 and send to 4545 to subscribe. Enjoy your unlimited texts plus 30 minutes worth of free calls to all your TNT/SMART friends for only P30.00 and that is valid for 2 days! Register by texting GU30 and send to 4545. Is 2 days is not enough? Make it 3 days! 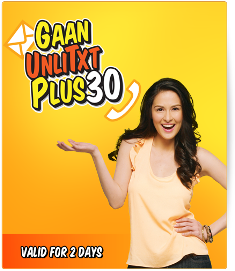 Enjoy Unlimited text plus 60 minutes of free calls to all your TNT/SMART friends for only P55.00 valid for 3 days! Subscribe by texting GU55 and send to 4545. The instructions on how to use your free calls is already included to the confirmation message sent by Talk N Text. Please follow the scheduled time of calls to avail the free call and avoid the regular charge. This promo is only valid and available to all TNT subscribers nationwide. This combo promo offers to you by Talk N Text. 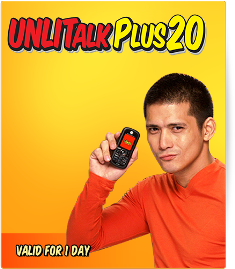 Hindi na po ba available ang mga Unlimited calls promo ngayon 2014?/ hindi po kasi ako makapasok.. Inquire lang po about Champion Sim. Limited daw po ba ang mga promo nito? Saang mga lugar po xa di applicable? Ask ko lang sna kung meron kayo promo na unlitxt and unlicall for 1 month na as in combination na ng dlawa na yan?